It seems I am always in my car. If I am not taking kids to school, I am out grocery shopping. Oh, don't forget the after school activities or sports practices and games! With all of the smelly sports equipment and kids leaving food wrappers or the proverbial sports drink bottle in your car, it is bound to STINK!! I am so happy I have found a solution with the Febreze Vent Car Clips! I now have freshness when I open the doors and get in. It is so nice to have a pleasant smell when I am driving. 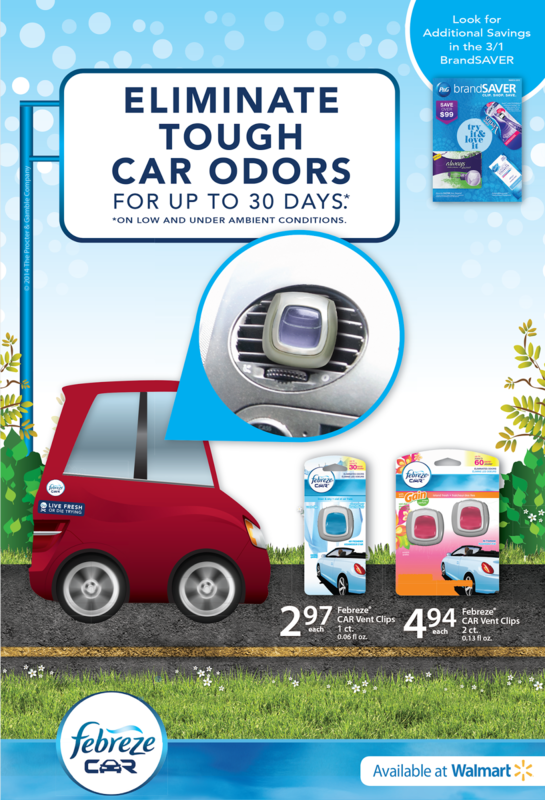 No more embarrassing smells when you have a passenger that might otherwise smell the funk exuding from the mess your kids have left in your car. Even when I have cleaned out all the sports equipment, food wrappers, EMPTY soda cans, EMPTY sports drink containers, it still had a not so pleasant smell. YUCK! Not any more, now that I have Febreze Vent Car Clips. All I can smell is freshness now! 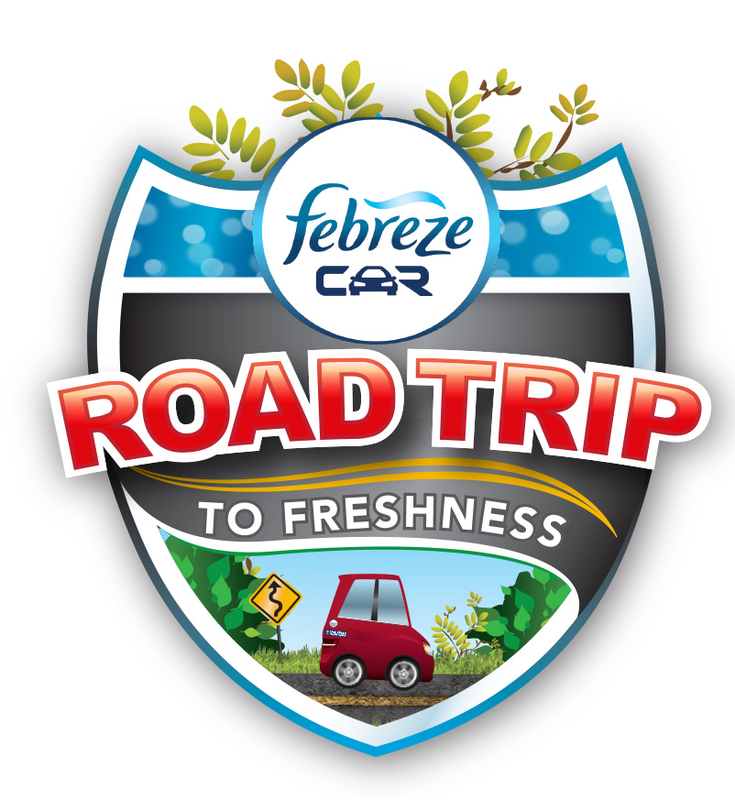 If you happened to get this past week's P&G BrandSaver insert in your newspaper, there is a coupon for a Buy One, Get One Free and these WONDERFUL Febreze Vent Car Clips are sold at WalMart What a DEAL! This is a must have for any car and you should make this a part of your car cleaning routine! Now for the goodies! One lucky reader will win a $25 WalMart Gift Card!